Inspired by street fashion and cool tumblr blogs comes this post following the block colour trend. 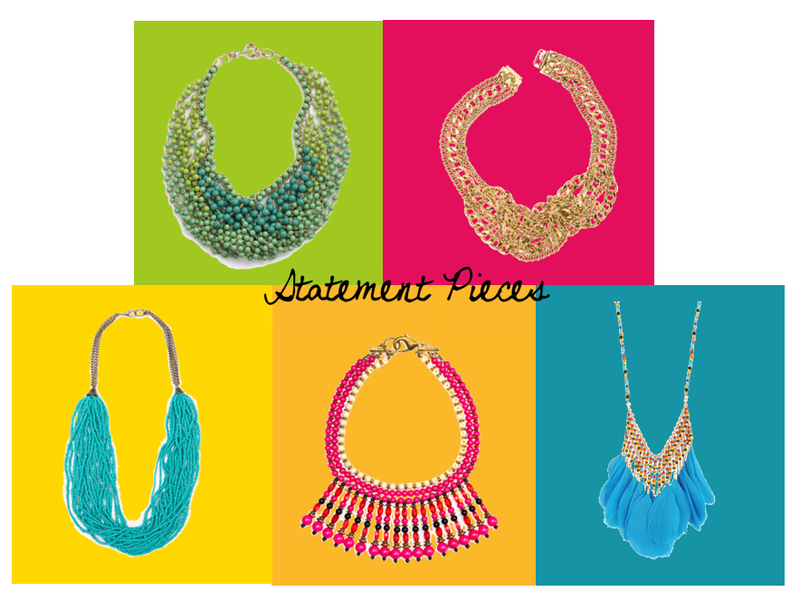 Previously talked about on the blog, block colours are in, and so are statement necklaces. They are a great way to spice up an outfit and don't even have to be expensive. Pair them with a plain black tee or with a super cute, hot pink blazer and you are sure to master the look. Below are 5 necklaces in all different colours that are all under $50!